Makan@The Basikal serves Akmal Azfar's mother's specialities - the food he grew up eating. The love for the open road, the feeling of self-determination, the wind in their hair (metaphorically, because: helmets), being bonded to other people by a common love - amateur or pro, long-haul travellers or weekend warriors, people who love bicycles are often bound together by many threads. "And I tell you: food," says Joey Koo, chef and co-owner of The Bike Hub Cafe in Subang Jaya. 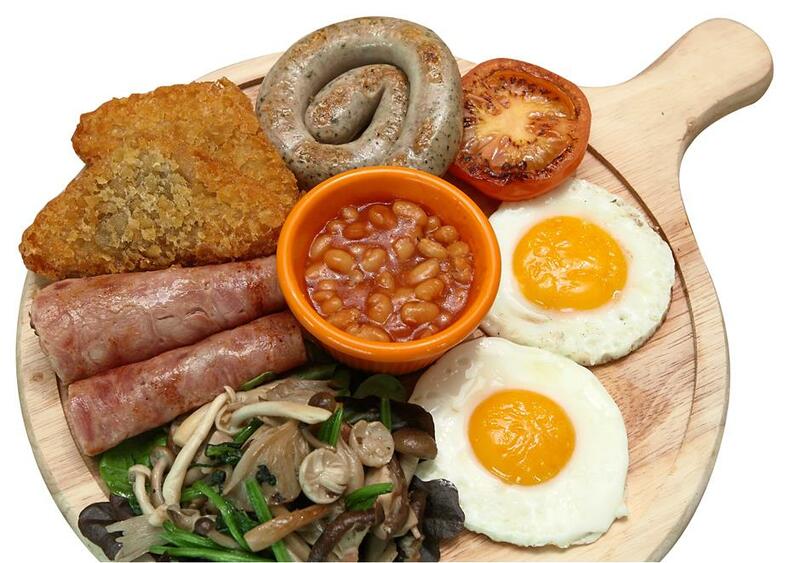 "Cyclists love to eat and drink! Whether it's a cup of good coffee before the start of a ride, or a meal after we finish." 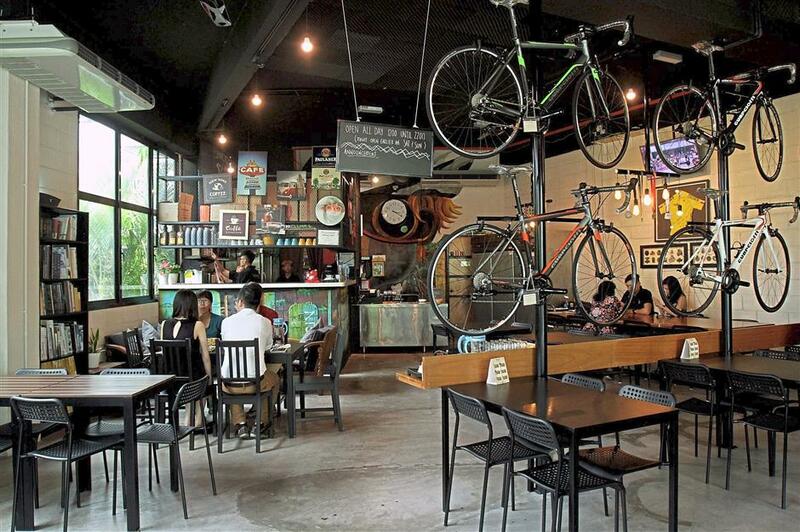 It's little wonder that a slow burgeoning of bicycle cafes can be seen in many states - although most are concentrated in the Klang Valley, Melaka has Terminal B Cafe, there's Cyclez Cafe in Muar, Johor, and Arnold Cycling Cafe is pretty well-established in Butterworth, Penang. Cyclist cafes are very individual creatures nonetheless - some double as bike shops, or as repair and maintenance hubs, while others were created solely to act as hubs for the like-minded. Here are three places with as much heart for the sport as they have for good food. 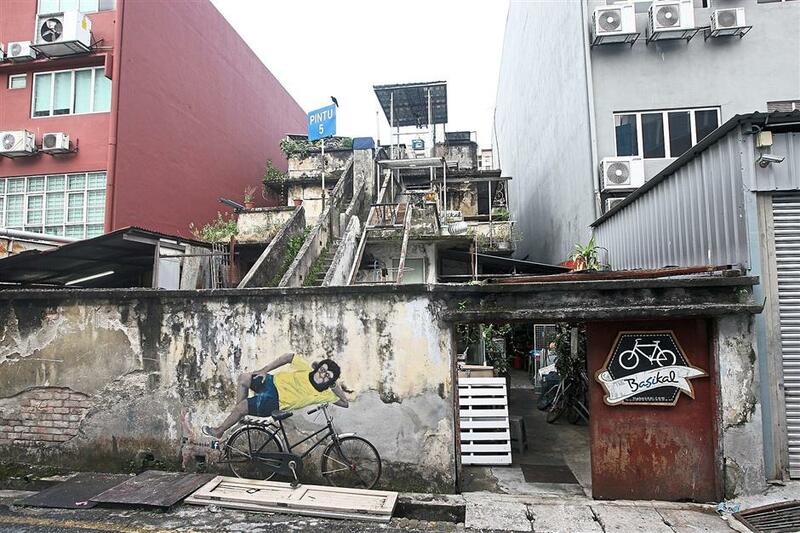 Wandering down a backlane of Jalan Bangsar, you may come across a nonchalant, painted monkey, lying Cleopatra style across an also-painted bicycle; your eye, then drawn up, to the weathered concrete ziggurat rising above and beyond it. And you've found The Basikal. A testament to home and family, and making things from scratch - whether that is the spice paste for an asam laksa, or a custom-made touring bike, or the bones and flesh of a rooftop cafe - The Basikal is where Akmal Azfar and his family realise their love of bicycles (and each other). Climb the (very) narrow stone staircase to the first floor, and you're on the level of Akmal's workshop; around the corner, The Basikal has a small guesthouse (Tido@The Basikal), just three rooms usually rented out to travellers who want to see the world on quadricep-powered wheels. "Utility bikes are our speciality, like commute or custom-made touring bikes, so when travellers seek us out for maintenance, they often stay there," says Akmal, 29. He is, however, also at home with road and mountain bikes, and even recumbent bikes. One floor up, and you're on the roof, where steel and wood meet to form a semi-open cafe; bicycle wheels hang suspended and form a faux roof in one section, and a bicycle sits perched on the low ledge overlooking Jalan Bangsar below, the LRT track above and pastel-painted flats beyond it (see lead image). It was all built by Akmal, his family and volunteers. "My father is a 'MacGyver', so he used his super welding skills to build this!" says Akmal. "We even built the lift for the bikes." (Because there's no way they're getting up that staircase). 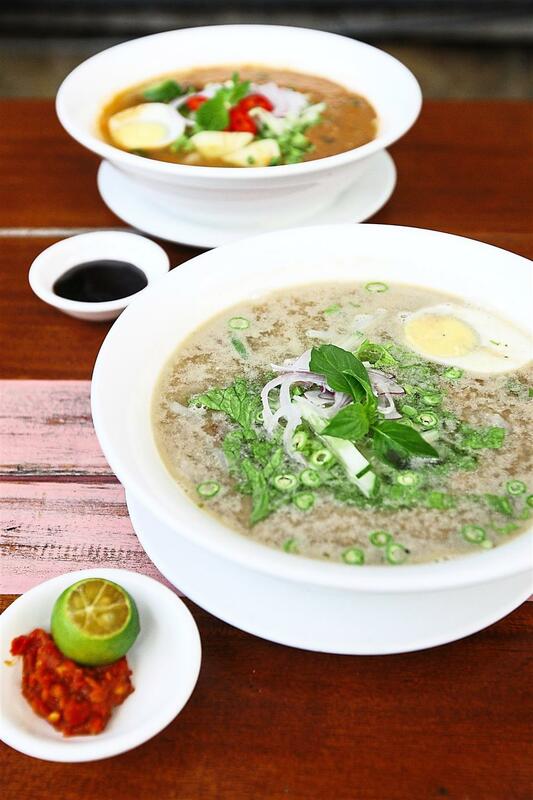 This is where Akmal's mother, Salmah Viran, 57, and his sister, Azyan Fairuz, 27, will take you in and feed you on homey, wholesome stuff like asam laksa and, more unusual in KL, laksa Terengganu (RM6 each). The latter is both rich and simple, a coconut milk gravy with shredded fish, liberally fragranced with black pepper. "And definitely no MSG!" says Salmah. The menu is small, the favourites in Salmah's culinary repertoire, and available from 5pm. "I first moved here from my original bike centre in Universiti Putra Malaysia in 2015, renting the room downstairs as my workshop," says Akmal. The roof was an empty space; Makan@TheBasikal became an option in late 2016. "When I thought of opening a cafe up here, I also thought of getting a chef, doing cafe-type food. But my mum has always been a good cook, and so I decided on this kind of home-cooked food instead - the kind I grew up with." Separated from the cafe by a long wooden table bank, Akmal has set aside another space for the bicycle repair workshops that are the real object of his zeal. "I did sell bikes for a while, but teaching is my true passion," he says. He wants to use these workshops to empower the underprivileged; with the help of a grant from the AirAsia Foundation, he conducts certified Park Tool School, Know One Teach One workshops, to pass on the skills and knowledge for bicycle repair. "I want to set up a door-to-door repair service - like Uber, but you can just get someone to come over to your house to conduct repairs," he says. "This will help to grow cycling culture, because I know a lot of people who find it too inconvenient to transport their bikes for repair and maintenance. "I think many of us love cycling as kids, and then as we grow up, we forget our bikes. As adults, we focus on making money. But when we have enough money, we think of looking for happiness - and that search often leads back to cycling." As the Happy to Cycle Club grew from 10 members to almost 200, firm friendships were formed. But what was lacking, as some members of the Subang Jaya-based club realised, was a place to meet and mingle, to relax and wind down after rides - and yes, to eat. And so the hunt for a perfect spot ensued - which ended when they found the space at the 3K sports complex in SS13 and opened the cafe in March this year. "We wanted somewhere with parking spaces for bikes and cars, so it could also serve as a starting/ending point for rides," said Gunasegaram Veerasamy, 65, one of the three owners of The Bike Hub Cafe. "And we wanted to have a hub to draw in more members to cycle with us!" Joey Koo, 37, and Jason Ng, 36, are The Bike Hub's co-owners. It's a small space with a friendly air and even friendlier staff, with racing stripes fronting the wooden counter and a steel bike rail running along the front of the restaurant. While they don't do repair or maintenance here, the plan is to stock some parts like tubes and tyres, to support cyclists needing to do their own repairs. "It's a great way to meet other cyclists, they love to talk technique, parts and diets - especially the triathletes!" says Ng Sue Ann, Jason's sister and The Bike Hub's account manager. Koo and Ng handle the running of the small cafe. A chef by training, Koo holds court in the kitchen, while Ng handles the floor. 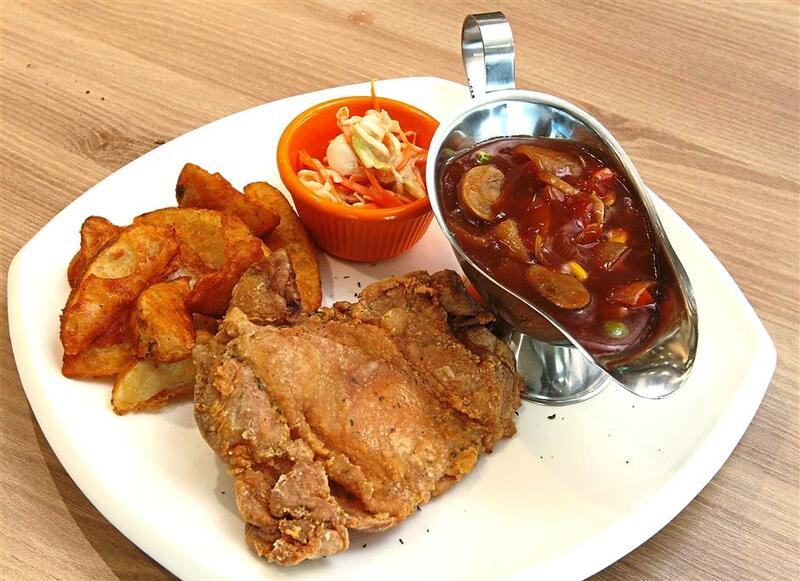 Koo's speciality tends towards Hainanese coffeeshop classics, like the Hainanese chicken chop (RM17.80), crisply battered and served with a tangy sauce bursting with fresh vegetables, as well as local dishes, charcoal crust pizzas and pastas. He's a believer in food that's both good and tasty, and even cures his own salmon. Not on the printed menu yet: Eat Green items for the truly health-conscious, featuring grilled items and salad or vegetables - "No sauce or carbs in sight!" says Koo. Wednesday nights see cyclists gathering at The Bike Hub at 8.30pm for a 25km ride to Bukit Jalil; the cafe's proximity to the Kesas highway makes it a convenient starting point and pit-stop. "On weekends, we often have rides along the Guthrie Corridor Expressway, about 40km to 120km," says Koo. "Once a month, Jason conducts a bicycle clinic, where he will talk about different subjects, such as how to get started cycling, how to conduct basic maintenance." The partners' main aim? To simply live up to their name, and be a gathering place for bike-lovers. In the shadow of the hills on the outskirts of Ampang, Velocity Cafe Ampang is a cosy space in which to chill, kick back and contemplate life on two wheels - or to begin and end rides to nearby Hulu Langat, as some cycling groups do on weekends. Velocity is owned by brothers in arms, genetics and cycling, Yim Wai Soon, 25, and Yim Wai Hong, 31. 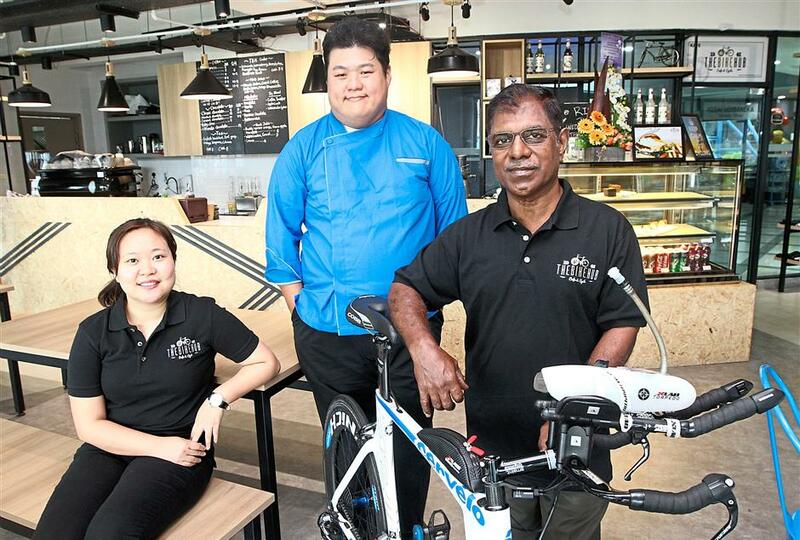 "We're both cyclists ourselves, and we wanted to open a bike shop but to diversify the business, so we decided to combine it with a cafe," said Wai Soon. Suspended high inside Velocity, the road or racing bikes are all for sale. But at the same time, a small, sleek workshop flanking the entranceway is where Wai Hong conducts repair and maintenance works for touring and mountain bikes (by appointment only). "When we started out, it was a really simple cafe with a bicycle showroom," said Wai Soon. "We didn't even have a kitchen. But the cafe part kept growing, and we kept upgrading the kitchen and menu." The menu features Western cafe fare, with a localised bent. A long list of speciality drinks is complemented by light brunch items, simple classics like grilled chicken and mushrooms with black pepper sauce, pastas and desserts. 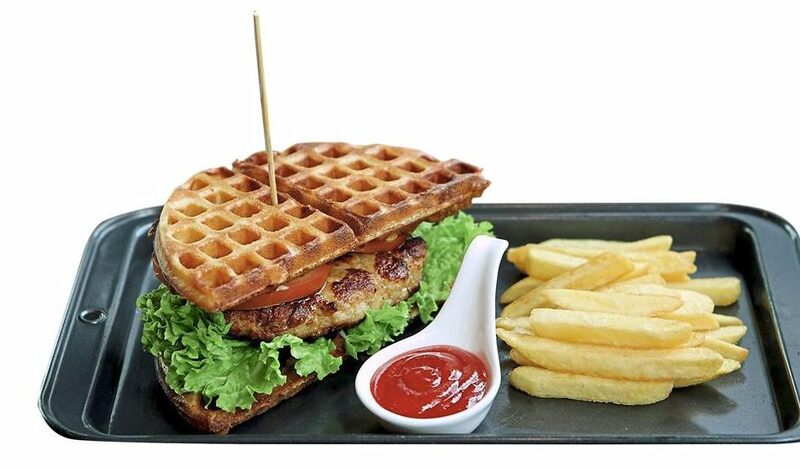 The Velowager (RM23) is a popular order here: a juicy, house-made chicken patty doused in honey mustard sauce and sandwiched between a couple of waffles. "We try to make everything in-house as much as possible," says Wai Soon. "It'd be cheaper for us not to, but we want our food to be as healthy as we can make it - which means making things from scratch." It's been an uphill ride for the brothers, because of the remote location of the cafe, and the fact that the economy is being less than encouraging for the sales of imported bikes. But they're driven by a desire for their business to also benefit the community - "This is where we live, it's our home, so we want to do something to contribute to the area," says Wai Soon. Together with his friend Desmond Foong, Wai Soon started up the Ampang Cycling Team, also in a bid to rally cyclists in the area. "And we think things will stabilise later in the year, so here's hoping for a better 2018." But for Wai Soon, meeting up with like-minded folk has been a major plus. "You learn a lot - empathy, for one thing," he says. "Not everyone is as fast as you are, maybe. Not everyone is the same. "As our pace of living gets faster, we are forgetting many basic things. Cycling reminds me - to go back to basics, that I can generate my own speed. To endure in the slow times, to depend on yourself. When you cycle, regardless of your position in society or whatever - you just ride along."